"Dr Mangan's book is outstandingly good at making things clear without oversimplifiying them, and remaining readable while never losing his high standard of scholarship and seriousness. This is a masterly book." 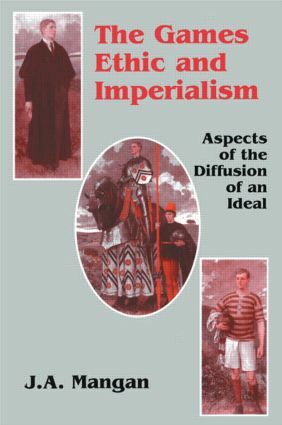 "an influential book and an ideal text for courses in the history of imperialism and the history of sport"
"J.A. Mangan in The Games Ethic and Imperialism not only injects fresh vigour into the old, old story but emphasises the very peculiar nature, both of those institutions." "This is an excellent, detailed description and informative analysis of the eveolution of British public school games from primitive, ancient, and mediveal games to today"s British public school children learning the basics of courage, endurance, loyalty and self-control through public school games … The documentation is exceptionally well done, thorough and thoroughly readable. Highly recommended for the graduate level academic library, this work can be useful to anyone with historical curiosity." "Well written and documented, this eminently readable book will appeal to the general reader as well as those in the fields of popular culture, imperial administrative and sports history, as well as religion and literature … Mangan has played a key role in elaborating the links connecting bodily discipline and human value systems." "Novices in the field of sports history should begin with Mangan"s landmark study of the creation of the "games ethic" in the Victorian and Edwardian public school. In this book, extensive research, narrative skill, and a keen eye for apt quotation from wonderfully quotable pedagogues combine to make a classic in the field.